Line 8" square baking dish with foil or parchment paper. This makes getting the dough out easier because it is rather sticky. 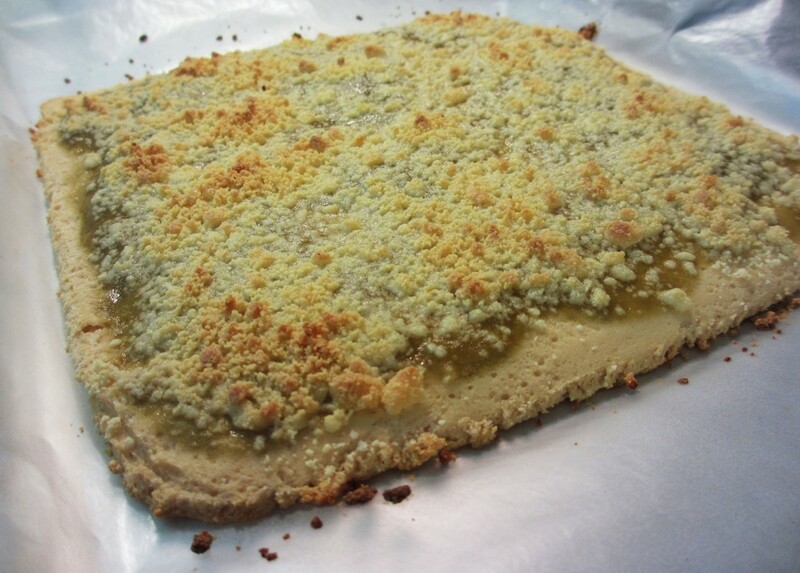 Combine all ingredients except casein protein powder and coconut flour. Once all liquid ingredients are mixed well, slowly add in casein protein and follow by adding coconut flour. Spread the dough evenly along the bottom of the pan. The dough will be a little thicker than pancake batter. 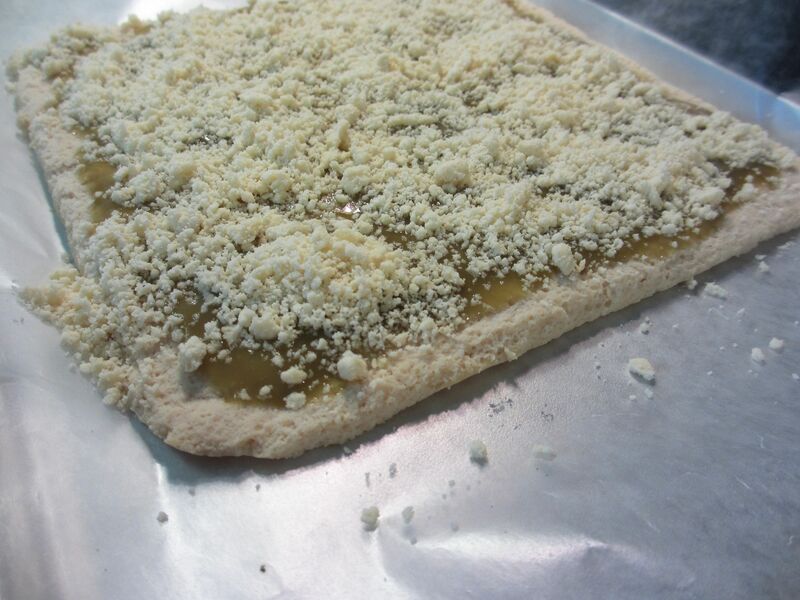 After the crust has cooled, gently flip the crust onto a piece of parchment paper. 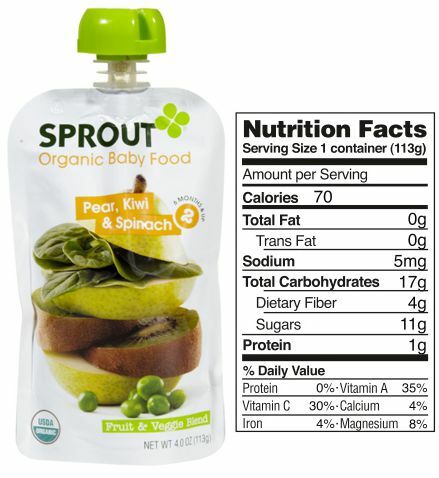 Combine baby food pouch and fitness fiber in order to thicken the mixture. It will still be a sauce consistency, but will not run everywhere. 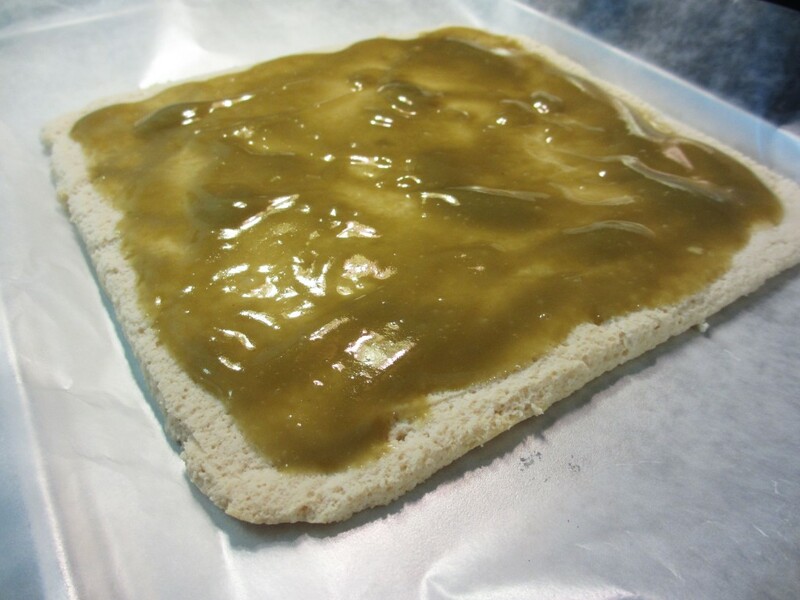 Spread fruity mixture evenly over baked crust. Combine casein protein powder and Splenda. Add the light butter and chop into the sweet protein mixture. Sprinkle crumbly mixture evenly over crust. Bake 10-15 minutes. Just long enough for the crumbles to brown. In order to avoid breaking the crust, press a piece of parchment paper directly against the crust while it is still on the foil baking sheet. Flip the whole sandwich over [foil + crush + parchment paper]. Then slowly PEEL the foil back from the crush.